Well boy, have I got a lot to tell you! It’s been a jam-packed day full of amazing ladies and wonderful moments. There were tears. There was laughter but above all, there were lots of smiling faces. Sounds like one hell of weekend, am I right?! 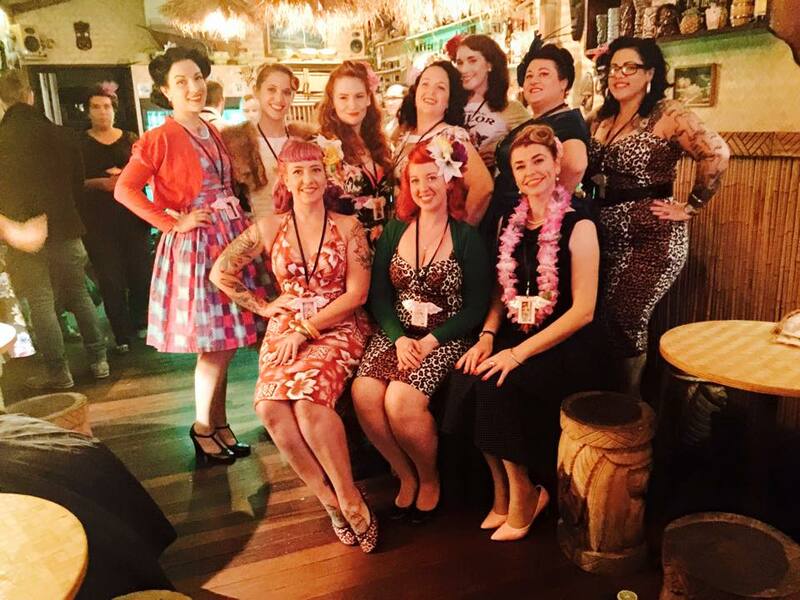 The Miss Pinup Australia 2015 QLD Workshop and Meet and Greet Weekend did not disappoint! This was the first time during the lead up to the state event that all of us Queensland entrants have physically gotten together and I was meeting several of the lovely ladies for the first time. We began with our workshop at the Globe in Fortitude Valley. 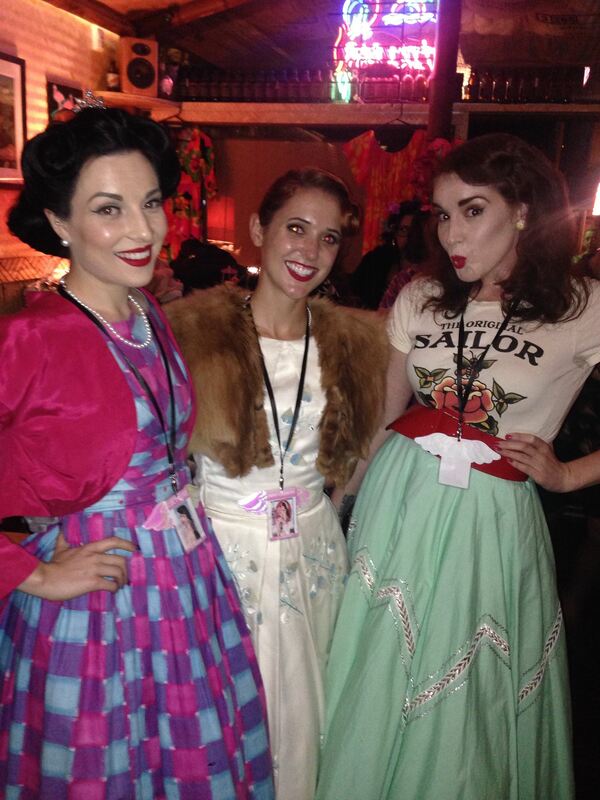 You could see us a mile off: a bunch of babing pinup ladies loitering outside the venue! When we got inside, we got straight down to business. The one and only Miss Pixie introduced herself to the group, followed by the lovely mentors who had joined us for the day including Miss Dee Meanour (all the way from Sydney might I add! ), Miss Kitty Sapphire and Miss Mae Em (who had also made a trip to attend). Aren’t we lucky?! The mentors introductions were to warm us up for introducing ourselves to the rest of the Queensland ladies. It truly was a treat to listen to each wonderful woman introduce themselves and it proved to be quite an emotional experience. They always say “you can’t judge a book by its cover”, and I was truly astounded listening to the traumatic and challenging experiences the women before me had endured in their lifetimes. Having studied journalism, I believe everyone has a story, it’s just so often that we don’t (or don’t have the chance) to stop and listen to them. 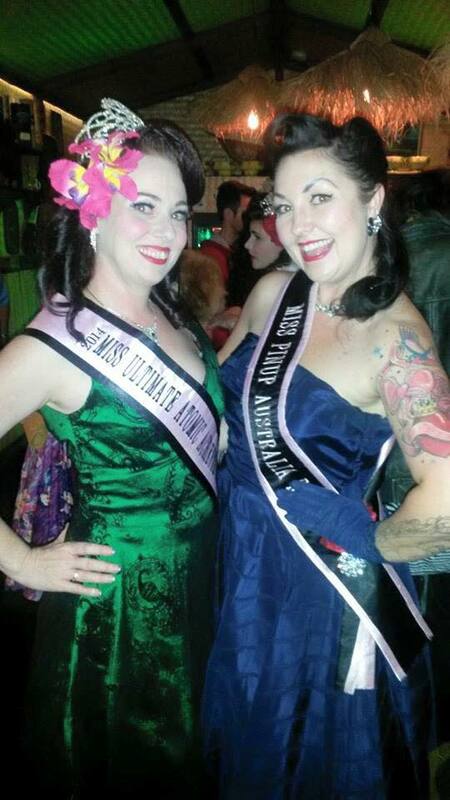 I found it surprisingly emotional standing up and discussing why I myself, had chosen to enter Miss Pinup Australia. One reason is purely positive: to see like-minded women challenge and surprise themselves. My other pinup experiences have been nothing but positive. As I shared with the group, there’s nothing quite like seeing a woman’s face when she walks off stage and is astounded at what she just did. So fulfilling to see and support others to jump on our of their comfort zone! Another reason…slightly less than positive; Despite often coming across like a fairly confident person, I often find it difficult to attend social events, constantly questioning myself. After some deceitful events in my personal life over the past 12 months, my confidence copped a wallop and my lack of confidence only worsened. But I thought, hey, what better a time to enter Miss Pinup Australia and show myself I have still well and truly got it. *Insert power stance! 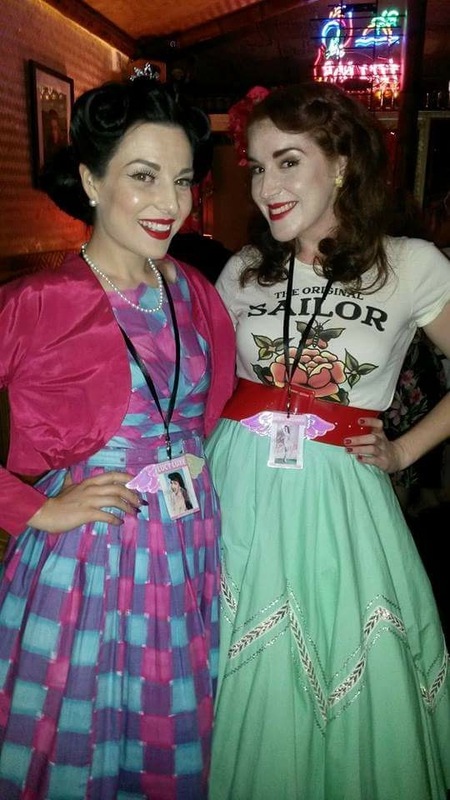 Miss Pixie emphasised that Miss Pinup Australia is very much about the journey and self-growth as opposed to the destination or being in it to win it. I shall go forth remembering “the only person I am in competition with, is myself,”. I’m determined to use this experience to remind myself of my worth, my strength and my value. Following our introductions we spent a lot of time discussing our upcoming state event on June 20. ‘Twas the time to ask any lingering questions as we are now only 1 month out (oh golly) from the event! We were also given a cute ID tag with wings (YES!) and a mini tiara to emphasise that in MPA, we really are all winners. Afterwards, we grabbed some donuts (hey, a pinup needs her sugar hit) before splitting to re-beautify ourselves for the meet and greet fun ahead. The meet and greet was held at the one and only Jungle Bar. We were surrounded by beautiful bamboo (which I found out last night was all lovingly sanded and stained by one of the bar owners) and a cute collection of tiki ornaments and bric-a-brac. All of the QLD entrants attended in their finest pinup attire. 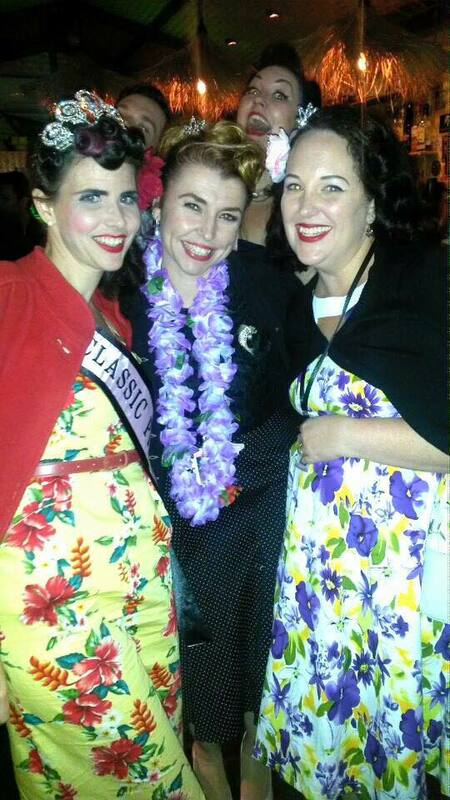 Some completed their outfits with the addition of a pina colada in a pineapple: the perfect pinup accessory! It was great to be given the opportunity to each chat to one another more and get to know each other a little better. We were also lucky enough to have several previous MPA title holders present. Best to chew the ear off those who have been there and done that! We were all also given the opportunity to chat with Miss Pixie to double check our themes were both suitable and original! Can’t be double ups! I was relieved to be given the A ok! I am feeling very excited after the weekend! Time to put the head down, bottom up and make the next few weeks count! Miss Pixie has recommended 30 minutes a day of “me time”, in which we can research and work towards out 4 different rounds. 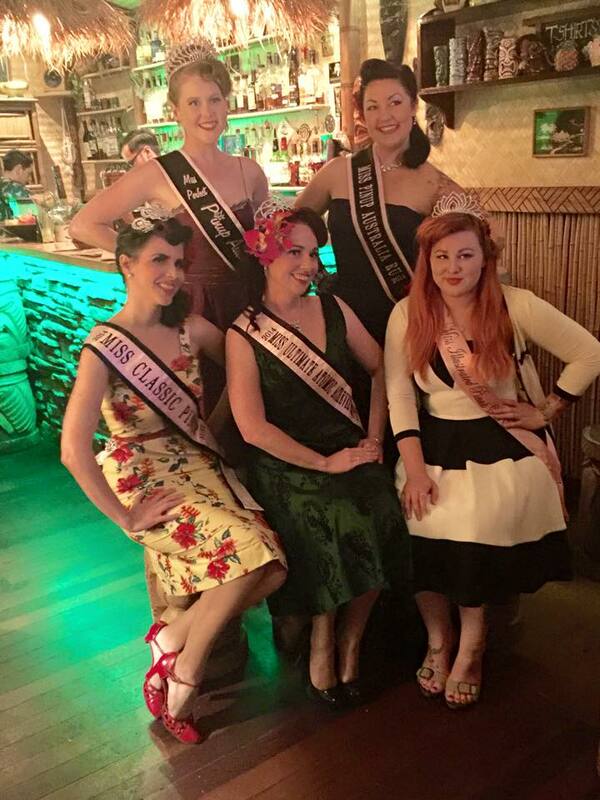 The Miss Pinup Australia 2015 Queensland entrants: Myself, following by the lovely Miss Emmy Cherrypi, Miss Ginger Pop, Miss Vonnie Violet, Miss Satine S’Allumer, Miss Kitty Von Claws, Miss Sharne DeVille and in the front row Miss Diamond Divine, Miss Trixie La Rouge and Miss Velvet Crush! Come and see us all perform at the state event on June 20. 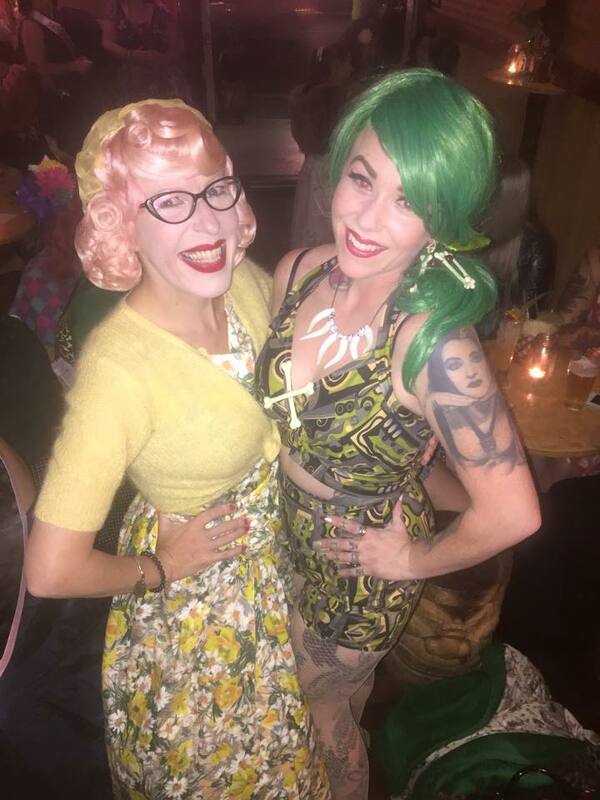 The lovely Miss Satine S’Allumer and I busting out in our pinup finest at Jungle. The one and only Miss Pixie with the stunning Madeleine Mayhem. Our lovely mentors Miss Kitty Sapphire and Miss Dee Meanour. I’ll be posting about my progress in the coming weeks, so keep your eyes open!